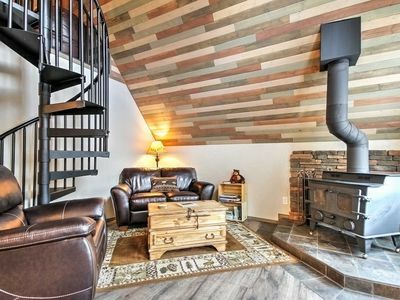 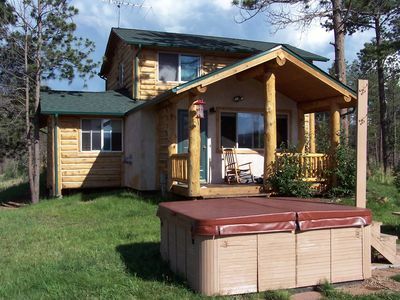 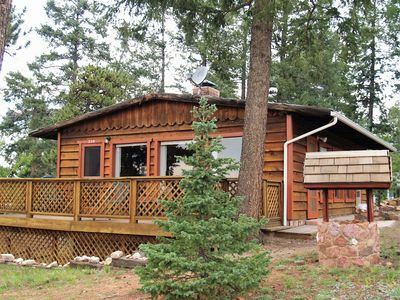 This Rocky Mountain log cabin is cozy, clean and very quiet. 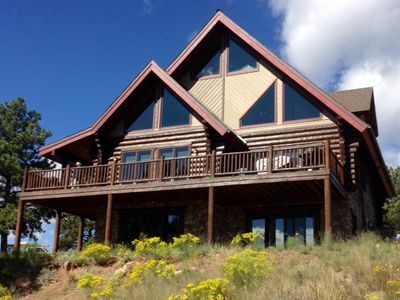 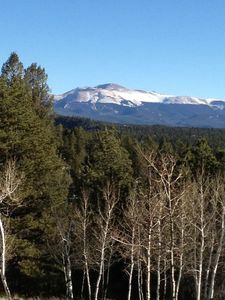 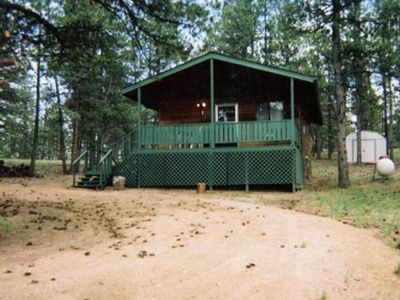 Situated on 5 acres of property, the cabin has an incredible view of Pike's Peak. 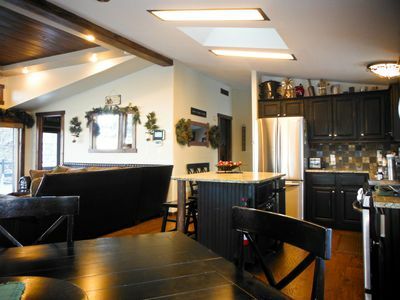 Three bedrooms, one being a loft, incorporates three twin beds and 2 sets of bunks. 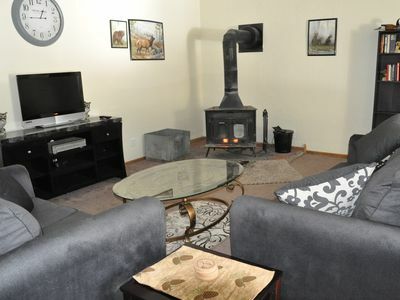 A fireplace and wood burning stove offers great ambiance and warmth. 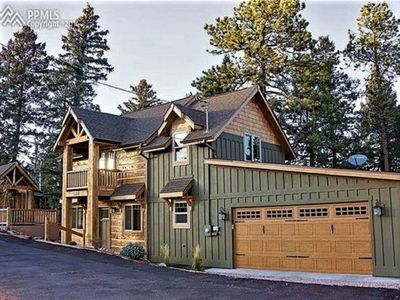 An over-sized garage and car port offers easy parking. 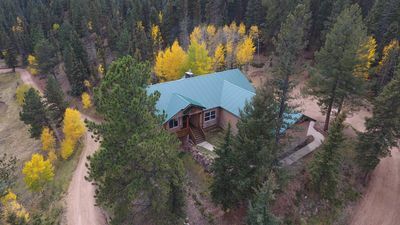 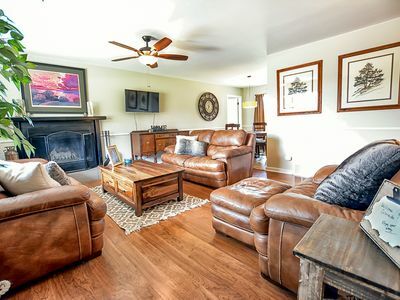 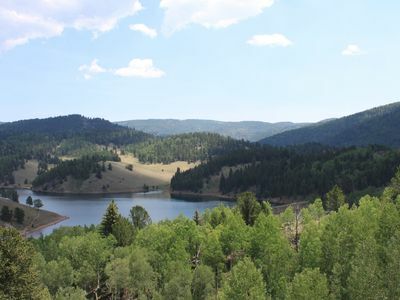 The property is located near Eleven Mile canyon, Woodland Park, Garden of the Gods, Monarch Ski area, Pike's Peak attraction and awesome outdoor activities in both the summer and winter. 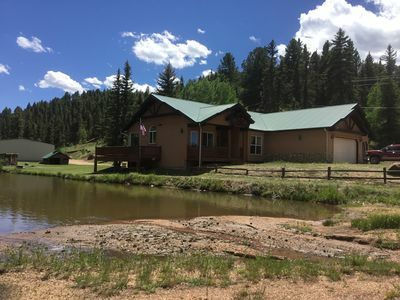 The best of Colorado with mountains hot tub, fire wood and water views! 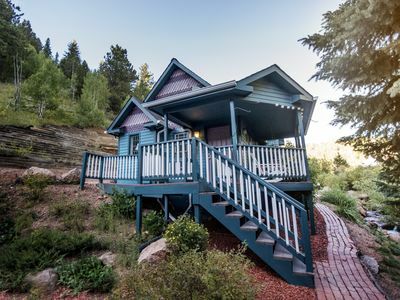 Hillside Cripple Creek Cabin w/ Mountain Views!